The C-130 Hercules is a four-engine turboprop military transport aircraft, capable of takeoffs and landings from unprepared runways, the C-130 was originally designed as a troop, medical evacuation, and cargo transport aircraft. The versatile airframe has found uses in a variety of other roles, including as a gunship, for airborne assault, search and rescue, scientific research support, weather reconnaissance, aerial refueling, maritime patrol and aerial firefighting. 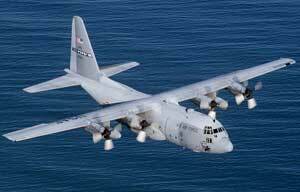 ISO Group provides military aviation spare parts, components and MRO solutions for the C-130 Hercules and all variants. ISO Group has experience in the C-130 Hercules Engine Assemblies, Rotables, Consumables, Avionics, Hardware, Landing Gear, Electrical Assemblies, Fasteners, and Structural Assemblies.